When I began Bejeweled I wanted to use a bright, playful collection that would stand out nicely against the white background. I was lucky enough to get my hands on some advance yardage of Modern Whimsy, by Laurie Wisbrun for Robert Kaufman. And guess what? Robert Kaufman cut ten-squares of Modern Whimsy for both Laurie and me so we are hosting giveaways together! And we are both also including Bejeweled patterns. These ten-squares include one piece of each print, so they won’t be enough to complete the larger version of the quilt, but you will be well on your way. (I also going to split up my remaining yardage that I used to make the quilt among the winners here.) Should be fun! To enter here, tell me something about your “dream fabric”. It can be something that is currently on the market, or that you have seen in the past, or something you just imagine. Maybe it sports a particular motif, maybe it is a certain color or scale. (For instance, I’m always on the lookout for good greens. One can never have enough. I’m also always looking for good light modern prints.) Please become a follower to enter if you aren’t already. Don’t forget to leave me a way to contact you should you win. That’s it! Then hop on over to Laurie’s blog, the Scarlet Fig, to enter there too. (There will be two winners here and two there.) Her post should be up tomorrow. The deadline for both giveaways is the 26th. I have a dream line. I want to get my hands on a 70s inspired line (colors & motifs) with a modern twist with a large owl incorporated some how. I'm always looking for clear reds. I can't seem to find the exact shade that I want. Thanks for the giveaway. Anyway, I love this quilt and the fabrics used in it. It makes me think of a bright spring day. I have a couple of dream pieces out of the Hope Valley line. Then there is an older Kansas Troubles fabric that had tan paislies on a navy background. Sure which I could find some more. Right now I'm looking for strong aqua prints and good reds. I've seen several quilts with this color combination and they seem so refreshing. That's my dream this week. My dream line would be a large two color lace print in lots of great current colors. I DREAM IN PINKS+DO CHIDREN'S CHARITY QUILTS, SO I LOVE MODERN WHIMSY+ALL THEIR NEAT COLLECTIONS! With my limited budget, there are two lines I'm in love with but haven't gotten my hands on yet (other than momentarily at my LQS): Hometown by Sweetwater for Moda and Daisy Cottage by Riley Blake. Not to long ago I was asked if there was a fabric line I like to see reprinted and I said no. But the other day I came to the conclusion that I would indeed like to see Sugar and Spice make it back again. I have a tiny bit of it, but not nearly enough to satisfy my urge to produce all the fun things I have in mind. I have so little of it I hate to cut it up. I know…..weird! lol Thanks for a chance at the great giveaway! I kinda feel that everytime I see a new line by Kate Spain she has used all my favorite colors in ways I really love. I don't know but I think it is the vibrance that attracts me to them. There are so many gorgeous fabrics that I just want them all. I have to watch my fabric addiction and use the AA 12 steps on it. Love bejeweled, by the way. so fun and cheery. Thanks. I like mixes of charcoal and blue, maybe with leaves or something else nature-like. Oh give me the aqua and red and I'm there. And I can hardly wait for Flea Market fancy to reappear, I am down to my last little scraps. thanks, this is such a cute quilt and the line is adorable too. My dream fabric is nautical with light houses. I don't know exactly what I want but I haven't seen it yet. What a great giveaway. My dream fabric is very colorful and whimsical, probably blue being the main color with cute little critters. Wow my dream fabric…I would love some pink lotus by Amy butler! My daughter loves it! my dream fabric is whimsical flower and bird prints. i gasp, drool and dream about these prints. i'm close to having enough bigger leftovers saved for a 'bejeweled' quilt! I am dreaming about Amy Butler Ginger Bliss…. I came into quilting after it was already out of print. I would love small print fabrics in true red with gold and black accents. I would love some modern prints that have a white background to mix with all the colored prints out there. Great giveaway. I am loving the new line out by sweetwater. I have already picked up a charm pack and jelly roll, can't wait till or store gets the yardage in. Would love to get my hands on the fabric you used for Bejeweled!! My dream fabric involves a squid/kraken ala an old pirate map. I love all the new fabric designers with the modern prints and really appreciate the modern quilt designers. My dream fabric is anything by Melody Miller – I have a couple of pieces but no where near enough! So really retro-inspired prints in unique colour combinations (saturated colours) are my dream fabric of the moment. I agree with you – my dream fabric of the moment are some modern prints with light values. Thanks for the chance! I love your patterns, I think Bejeweled is my favorite though. My dream fabric is sitting right next to me covering my Kindle. I bought this about a year or 2 before I started quilting. It is by Maywood Studios, came in black or white, but the black one is the one I love. It has foil printed flowers all over it in purple, blue, pink, yellow, orange and green. I have made project bags with it and foolishly let my cousin cut up most of it for a lone star quilt that just did not work (it wasn't the fabrics fault). Now that I have a few years of quilting under my belt, I could actually use it to a lot better effect. Alas I only have a very small amount left-which I am hoarding. I'm looking for a great, multicolor, modern print. And by multicolor I'm thinking 6-8 colors, not just 3. Something I can build a real scrap quilt with. I almost hate to say what my dream fabric is because it is your Ambrosia. I fell in love with it at first sight. Unfortunately now it is almost impossible to find. Other than that I'm a sucker for paisleys. I would love to find modern coordinating fabrics in teals and bright greens. Thanks for the giveaway! My dream fabric would be one that was clear until it was put next to any other fabric, then it would take on a beautiful complementary solid color. That way I'd always have the perfect solid for whatever it was I was making, no matter which print I was using. My dream fabric would have a Paisley theme and in every color of the rainbow. I am always looking out for geometric patterns and would LOVE if someone designed a collection (or I was able to track one down) that featured Pendelton-like native motifs and patterns. I love the southwestern style particularly. Thanks for the chance to win! Ok course, I have a dream fabric. I heart fabrics with writes and, since I am a lover of calligraphy, I dream about a fabric with gthic calligraphy! hmmm….a dream fabric. I'm looking for reds. I so heart reds. Not firengine reds but French General reds – so yummy….. I have trouble finding orange based fabrics that I like. I wish there were more of a selection of those. I am inspired to sew with fabric that has an element of surprise. Usually it is a color included in the colorway that your mind doesn't "think" would work, but adds the spark. Scale is important to me. Too many lines don't have enough smaller prints to go along with their focus fabrics. And I love sewing with flannel – usually children's/baby quilts and there isn't enough quality fabric in that arena. Thanks for letting me express myself. I love the red in with your spring-y colors! Thanks for the giveaway. I am always looking for a soft yellow print. I also am looking for a soft green print. Although I love strong colors also, at this time of year (Spring) I am looking for softer colors. My dream fabric – I really LOVE all of Joel Dewberry prints, and am slowly building my collection of Modern Meadow in the blue colors. But Redwork Rennaisance is my to die for collection at the moment. And I so don't like red….but wait…I'm totally digging the Brrrr collection in red and blue? OMGosh, but a dream fabric….a total fabric collection all prints and colors from Deb Strain!!! My dream fabric would be to own a couple of yards of each of the Kona solids. Wouldn't that be awesome? My dream fabric is purple and green with whimsical creatures on it. Although at the moment my dream fabric is Natalie Lymers Woodland fabric. I would love to have a metre of each design and colour to make lots of different things with. I would like something playful with hearts, but not in pinks or reds, that way I could sew something for Valentine's and the boys in the house might actually like it! I've always wanted to work with a fabric that reads like silk/satin but is way easier to handle – doesn't slip and slide around – without having to use some kind of stabilizer. Thx for the good giveaway. My true "dream fabric" is a line that I have worked on designing. I had the focus fabric printed, but wasn't happy with the quality of fabric it was printed on for the price. My practical dream fabrics are multi-color batiks. My dream fabric would be to take a fabric and change the colors more to my liking! My dream fabric would be bright bold colors with fun patterns such as circles, dots, flowers etc. I would like to see some better sports themed fabric. My daughter plays field hockey and I have yet to find fh themed fabric! I love greens and watch for good greens out there. And dachshund novelty fabric. I am loving all the different palettes of yellow and grey right now. And a good wine burgundy color is always fun! Love the prints with different coffee motifs and many colors – have made several gifts with them and a few for myself. I have a love affair with pindot fabric. White pindots on red is hard to find – I'm talking the REALLY TINY pindots. Whenever I find a nice one, I buy several yards and just love adding it to my quilts. I don't have a specific dream fabric because everytime a new line comes out I dream of having it!! 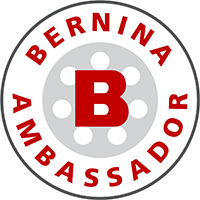 Thanks for the chance – this is a fantastic giveaway! For the past year I've been looking for yellow fabric with a red (not flowers) design on it…yellow with red has been in short supply in all the LQS's I've visited. My dream fabric has lots of slate blues and gray. But Kristen Howell's current line of red/cream/gray is gorgeous. I have some just waiting to be cut up now! Thanks for the chance to win. I'm a follower. gosh! a dream fabric…. it would change from day to day, recently I bought a riley blake FQ bundle and made a quilt out of it, very modern yet sort of old fashioned looking fabrics. now I forgot the name of the bundle, it was black, white(cream), red, pink and grey, some of them looked like tapestry, some like round letter stamps. I am pretty new to quilting and on a very tight budget so right now my fabric dream is to have enough fabric to make a scrap quilt. Thanks for the chance at your giveaway. My dream fabric changes regularly! At the moment it's Malka's new line! Grays and blues are my dream fabrics right now. Really loving the new sweetwater line. A dream fabric would definitely include some acorns and oak leaves, maybe with an owl or two. On the flipside, any fabric by Kaffe Fassett in orange and red. Hard colours to work with together but so gorgeous…definitely makes a statement. Kate Spain's terrain is pretty much my dream fabric. Love the prints and love the colors. I'll leave the designing to those of you who are good at it. There is already so much to choose from, and six (maybe more) quilt shops with in 70 miles of my house, with the personality of each owner coming out in their fabric choices! Occasionally I'll be planning a project and not be able to find a go-with that I like, but I'm sure it's just me. My purchases have moved more to the brighter, new fabrics, like veranda. I also like designs that look watercolor-ish, where the colors blend or soften at their edges. Would love to play with this bright, happy fabric, and I don't have Bejeweled. I'm always looking for good browns–the deep rich color. I also like fabric that "moves" somehow–either with the print or gradations of color. Thanks so much for the chance! I'm always looking for wonderful shades of grey for a certain project. Gives me a wonderful reason to buy fabric. Thanks for this. My mom loved fabric, and loved clothing made from lovely fabric–beautiful patterns, good "hand" and drape. Sometimes when I am shopping (which I do mostly at Christmastime, which probably contributes to my sentimentality), I will see a dress or sweater or skirt and just know how much my mom would have loved it. My dream fabric is very elusive: something that reminds me of my mom, perfectly. When I find it, I'll make a beautiful quilt in which to wrap myself at those when I miss her. But it won't be a sad quilt, because it will be a reminder of one of the enduring gifts she gave me–a love of fabric and of creating beautiful things for the people I love. Every time I make a quilt, I think of her. My dream fabric would be the complete line of Dr Seuss fabrics. I can't afford to buy any fabric, so I dream… LOL! I am looking for fabrics from the early sixties. I like the colors and designs. That is my dream. Thanks for the giveaway. There was a line of fabric – I think at JoAnn's – that was small white stars on a variety of colored/mottled backgrounds – but the stars were not printed on… so there was not that hard surface ink you normally think of with white printing. They were buttery soft and made wonderful blenders – and now they are gone. 🙁 I don't even have a selvedge so I am not sure who made them or if they were sold anywhere else. I am always looking for interesting neutrals. My daughter has several friends who have gotten married lately and I have been making a lot of neutral wedding quilts. Thanks for the giveaway. I can never seem to find the "perfect" green.. I LOVE green so my dream ltabric would have to incorporate alot of green! Thanks for doing the giveaway!! My dream fabric. It would be a single roll like brown paper from an old fashioned general store. I would not need any other fabric ANYWHERE in my studio because this magic roll would instantly become whatever I needed every time I rolled off a length. It would change right before my eyes to embody "the quilt in my head" at that particular moment. Lush greens and saturated blues, passionate purples, vibrant reds and sparkling oranges. After being cut from the roll, the piece's color would stabilize and the roll would neatly await my next project. I'm always looking for good background prints. Something tone-on-tone but subtle yet not boring. Does that make sense? I like a good white on white but often they have sticky paint-like stuff on them that I don't like for quilting. I follow! I'm always looking for purples. It doesn't matter what shade. I'm finally starting to make an all-purple quilt and I'm so excited – using my stash is a good thing! I've just had some fat quarters of Primitiva in purple arrive in the post. I'm looking forward to making a quilt out of that for a friend's birthday. I came here via Scarlet Fig, but happy to find another blog to follow! My dream fabric would be a tone-on-tone batik of realistic looking dragonflies. I would buy yards and yards in lime and fuchsia and use them in everything. I want a color wheel type fabric. I just love how all the colors flow harmoniously together. I would enjoy working with that. I love Mary Englebreit fabric, love it!! It is hard to find now, so whenever I see some I grab it. My dream fabric is fabric with snow skiers on it…my husband skis and ski fabric is nearly non existent! I'm a Follower! My dream fabric is one I've seen somewhere before, but haven't been able to find it anywhere!!! (Hm, maybe it was a dream?) It's white with white oval circle/dots. Looked like the perfect background for modern fabrics. My dream fabric is probably to have some of the "old" Laurel Burch fabrics reprinted. I miss her designs! Especially love one she did of dog faces. New to blogging let's try this again. I don't really have a faborite fabric, but tend to like clean crisp fabric. I would love to see "Butterfly Fling" come back. 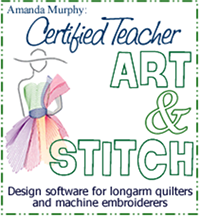 I love Amanda Murphy's patterns for the clean lines with a modern twist. I am working on "beflowered" and plan on making "portraits of my garden" for my son's up coming wedding! My dream fabrics were always Mary Engelbreit, till I saw Verandah….yum! Seriously, I'm not just saying that. I love the colors and the way they go together! I guess now I have two dream fabric lines! i really like simple prints…modern whimsy circles are fabulous and mono pezzy prints are top on my list right now. I like batiks because of the saturated colors. Just as there are reproduction fabrics of Civil War and 30's, sometime in the future there may be reproduction fabrics of the awesome batiks produced now. I have always liked fall colors. Thanks for the chance to win. I am a follower. Right now my dream fabric as a FQ bundle of Kate Spain's Terrain. I love that stuff together. Thanks for the chance to win your giveaway! I don't always know what my dream fabric will be until I spot something special on the bolt….then I know I've found it! I love polka dots in all forms. My dream fabric changes often, but usually has orange or turquoise in it. Thanks for the giveaway opportunity! I am loving bright, cheerful color combos like aqua and red or turquoie and orange. Anything bright really catches my eye. It doesn't have to be any specific design, just the colors that pop! Thanks for the chance to win! I recently saw a fabric that I fell in love with but it wasn't available yet. I believe it was called Grandma's Attic. I should of written it down at the time because I really would love to create something with this line. My dream fabric is your Veranda line and Im always on the look out for red and white print fabric…. Not sure about a dream fabric but I'm a sucker for anything with architecturally inspired patterns…anything that might evoke ironwork and so on. 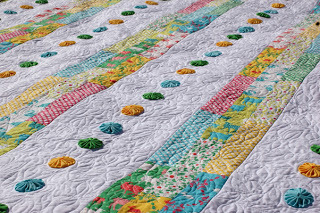 I just love vintage inspired fabric, florals and bright colors! thanks for the chance to enter! I love strong, clear colors, especially blues, greens, yellows and grey. Some of my lines or fabrics include Tufted Tweets by Laurie Wisbrun, the tulip print on pink from your Veranda line, a lot of the Nicey Jane fabrics by Heather Bailey and Shades of Grey by Daisy Janie. So I guess dream fabrics for me would be summery colors (garden summer, not beach summer) with pops of contrast and a modern or retro sensibility. My dream fabric. I have not really thought about it that way – I have two dream fabrics. One for my husband and one for me. My husbands dream fabric would have different pictures of his "dream car" the Shelby Cobra Roadster 65. He has a white one with black stripes so I would dream of those colors with some grey and shades of grey. It would show different angles of the car – front, rear, side, skewed from the lights – tires – etc. It would be very "manly" and suitable to make a Car Hawaiian Shirt from. Mine would be dogs… Terrier dogs – dogs doing doggie things – all sprinkled over the fabric. It would be VERY Girly with lots of pretty colors and tiny dots and little bones and doggie stuff. Maybe some of the dogs would have bows in their hair and other boy dogs would have bow ties on their neck. OK – Now I'm ready for my nap! My dream fabric would be organic cotton with an art deco floral and bird print in purple. Bright colors, contemporary designs and accented with white – love that combination. Bejeweled looks like a great pattern. Thanks for the chance to win! gorgeous fabric! my dream fabric was one I fell in love with on a quilt shop bus hop last July. It is Michael Miller's Flower Shower – here is a 12-pocket bag I made with it. I love the black background and the bold, bright flowers on it! My dream fabric is all the greys that are out there now. Oh, how I wish I could buy more. thanks for the giveaway. Mine would perhaps be turquoise, red, and white, swirly, not too busy, not a very large print. 🙂 Thanks! This one is easy for me. I love the fusion fabrics. I'd love to have them all!!! this morning, i saw a very well dressed young woman in a restaurant. she wore an oversized sweater jacket made of what looked like a wool blend larger scale black and grey print of different diamond shapes. it was absolutely perfect! i was out with my three young children by myself, so i couldn't ask her about her sweater. but i will now be hunting for a fabric with a similar quality and look so i can make my own sweater jacket like hers. i'm hoping to draw out the print pattern tonight and just turn it into framed art for now so i won't forget my inspiration. I have two dream fabrics. The first is anything that sparkles, glistens, or glitters. Love those sooo much. My other dream fabrics are brights. My quilting buddy is always saying "that is so you", when we shop. She is a 30's retro fan, so I guess it is true opposites attract. Thanks for a change to win. I am a follower…. My dream fabrics always seem to be those that have bright, true color, especially aquas, warm reds, purples. The new line from Kate Spain called Good Fortune seems to have those very dream fabrics! Love the Bejeweled pattern, the interesting combo of modern fabrics and vintage yoyo's! I'm with you, it's hard to find good light value modern prints. Most everything is heavily saturated. I think that's why we all gravitate towards solids. My dream fabrics always seem to be geometrics and polka dots. Something about the clean lines and look call out to me. i love fabrics with lots of bold color- i have been loving jewel tones lately. a line with a few bold, graphic prints and other complimentary ones in near-solid or very small prints is lovely to have around. I just love fabric… any color,pattern etc. I can't imagine any one that would be my all time favorite. Hard for me to narrow it down! I love the feel of fabric as much as I do the visual. I'm a sucker for blues and reds. I also gravitate to florals. I have really tried to like them but I am not a Kaffe fan. My dream fabric would be one that just magically appears each week in my stash with all the latest colours, etc. Would love to win your pattern and some fabric. I am always on the look out for anything orange or purple. I love those colors. I really love the way Chez Moi's Sophie looks on a quilt! I'm glad I collected some of it before it went out of print. It totally drew me! I'm a big fan of gray fabrics and dogs. I would love a fabric design that had a gray background with white dog silhouettes. I'm thinking a variety of different dogs would be ideal instead of just the typical Labrador…although that would be okay too. No dream fabrics.I love fabrics,any color is welcome.Thanks for the chance. I have always wanted to get some Summer Breeze fabric but I was too late in ordering it. I don't usually go for blue and yellow but I just fell in love with that line. I love all the modern fabrics, and I look for all kinds of reds. I was very impressed with all the red and white quilts that were displayed in NY. My favourite line of all time (so far) was Freebird by Momo. I'd love to get some more. I love the colours of that line… warm red, brown, orange, green, a touch of purple and yellow. It is modern but vintage looking, warm and welcoming. I'm always on the look-out for purple fabrics (my favorite color)! I look for bright colors, white,yellows, blues, reds, pinks, greens, summery things. Thank you for the giveaway. 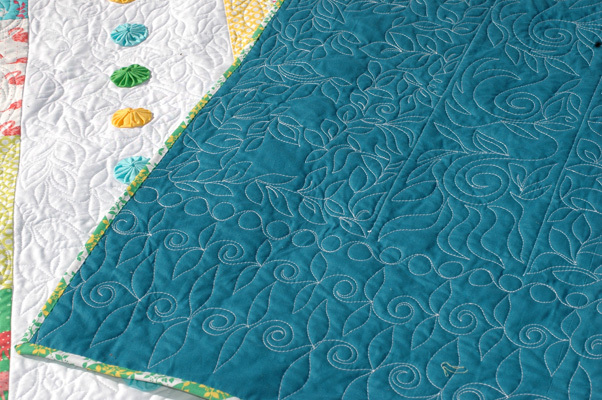 Your quilt patterns are wonderful and Bejeweled is a 'gem'! Pinks always catch my eye. Lately, because of a project I'm working on, I've been looking for prints that have faces on them. Dream Fabric? This will sounds like I am sucking up, but truly, Veranda is my dream fabric. I dream of having some of it some day. I was sucked into Quilting blogs last summer, and your new patterns were releasing and the fabric was about to come out. Maybe I will win the lottery and can buy some! There are so many gorgeous fabrics out there, and many of them have made their way into my home. But one fabric I have never found is 100% cotton University of Notre Dame logo fabric. I could do so much with it! one of my favorite lines was sweet by urban chiks. it was the perfect blend of color, dots, flowers and those sweet birds. 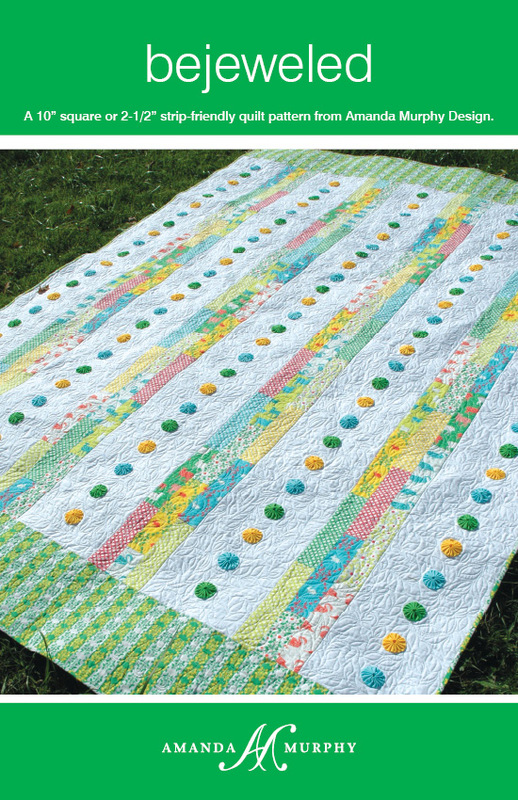 this is a gorgeous quilt pattern! My favorite fabric collections are the Me and My Sisters latest offerings. I love the bright colors. Also, I love almost any batik. I love polka dots and floras. Bright and whimsy colors as well as dark cranberry and tans. I love deep rich colors. But could use some bright fun fabric for spring. Love the quilt design. Hi Amanda I love the bejeweled quilt! I saw you at the Road to California Quilt show. Your booth was wonderful!! Dream fabric is one with a soft hand and even softer pastel colors. Thanks for the giveaway chance! I also believe you can never have enough green fabrics. 🙂 Dream fabric? I just love fabric. One of my all time favorite lines is Arcadia by Sanae for Moda. The colors are just a touch different and the prints are clean. I think my dream fabric changes with my project. I'm a huge fan of Ann Kelle's work, but also can't keep my hands off of Fig Tree prints. Thanks, ladies! I already told Laurie about my favorite fabric that I OWN, but my dream fabric that I don't own yet is anything Japanese with little faces on it…only the Japanese can make broccoli and even trash cans cute just by adding eyes and a mouth! I love fabrics in pink, burgundy and gray – they are hard to find though, especially paisley – so that would be my dream fabric. Anything purple is my dream fabric. thanks for the chance. I like bright solids. I loved Flurry last year. I like mellow patterns, but mostly a beautiful silky cotton texture. Oh, but for my babies, I like a nice cuddle, ultra soft minky fabric. That's a lot of adjectives. My dream fabric would be a multicolored stripe. I am drawn to stripes. They are timeless and add interest and complexity to the simplest designs. Stripes are also the best for quilt bindings, on straight grain or on the diagonal. I recently noticed that most of my quilts contain a multicolored stripe. I am new to quilting so my dream is just more fabric. But I am in the middle of making a quilt in blacks and whites so more of that. I am also now following your blog. thank you for a very generous giveaway. My dream fabric is anything in periwinkle blue. In my eyes it is very soothing and pretty. my dream fabric, would be to find a stash of 40's cotton prints, that match the last of my grandma's quilts, as it is getting threadbare, and need some tlc and patches, and I'd love to be able to match up the prints. So far nothing has come close! Hi I'm a NEW follower. What a great giveaway…it's my birthday on the 25th so would be wonderful to win! Favorite dream fabrics…so many to choose from in my stash…I love florals and paisleys and swirls – in purple, teal, blue and green. I also love Batik. AND I also love rich deep red, black and white. I am not particularly fond of soft pastels as a general rule. My dream fabric is Arcadia by Sanae. I have a stash of it at home and I love it so much that I am having a hard time deciding when to cut it up. 🙁 I love the orange and aqua together. I find my sneaking downstairs to my stash to look at it and touch it. My fiance makes fun of me but I love it! I love polka dots and can rarely pass up using them in any quilt. Thanks! in love with blue and lime!! Love these fabrics and this pattern – I think it would also be gorgeous in batiks! Been loving anything grey lately, thanks for the chance at this fabric and pattern! My dream fabric is an old Kaufman (?) print… multi-colored bobby pins all over it. I've thought of a gazillion projects I want to use it on, and found it (but didn't buy it) just weeks before it was discontinued and lost forever. I'm also always on the lookout for cute, but not typical, holiday fabrics. And by 'holiday' I mean ALL holidays, not just that one at the end of the year. Can someone throw me a cute patriotic print or irresistible Easter cotton? Dream fabric is something for men, so hard to find something suitable, so I'm really looking forward to Curious Nature coming out next month. I have been loving grey and I can't ever seem to find any stellar grey geometric fabric so right now that's my dream. I love Laurie's bird line – I just ordered some!! And your line is wonderful, too! My dream fabric is a black and white wonky stripe. I had some a few years ago and use it for binding or trim and it was great, went with every quilt and was very forgiving if not sewn quite right. My dream fabric is the "impossible fabric" in that its a fabric that would match everything. I would love to be able to have the perfect fabric to match up with whatever I'm planning to sew next. Thanks for the opportunity to win your giveaway. I am a follower. I like finding the perfect red, not too tomato-ey, not too dark, just right. I know it when I see it. My dream fabric would be the beautiful, subtle pink medallion print from my wallpaper growing up. I would just love to have a tangible piece of that "memory" to keep forever! Thanks for the great giveaway!! I love your patterns! This is my first time to your site, the first time I've seen Ambrosia. Which I love and those colors are my dream colors. To go with that I would add birds. My dream fabric right now is to find some Paddington Bear fabric! My mom made me a pillow case a while ago to take with me when I did study abroad in London. I've been looking around to see if anyone still has any left so I can include it in a quilt now! Oh, dream fabric! ALL fabric is dreamy! =) If I were designing one, it would have the colors of an Arizona Sunset (magenta, orange sherbet, purple mountain majesty) against the turquoise blue of the last sunlight sky. It would never ravel when I applique innies, and it would never run or shrink if I don't wash it! Thank you! My dream fabric would be a batik paisley in tropical colors. I'm always drawn to blue/green paisleys…the color of the ocean. I have a quilt for me planned with fabric like that. sigh.. I agree…green is my favorite. I also gravitate to blue. The quilt looks amazing. I love all the bright colors mixed with the white. I'm loving shot cottons at the moment and my dream fabric would be a blue/green print to mix with the solids and make a 'sea' quilt to drift away with! I like to look out for nice background fabrics for my stitcheries. I love jewel tones, especially if the colors stay rich & don't fade with use. Love the Bejeweled pattern. I'm always on the lookout for good, rich purples. My Dream Fabric is Moda's Natures Notebook , I get that feeling of calm from it, and I love that sort of feeling ,. I have seen fabulous Japanese prints (not the Asian florals, but the small interesting modern prints) but at huge per yard prices I imagine them made by readily available fabric producers for a price I can afford. I want to buy a lot! Thanks for the giveaway opportunity.